Fresh, clean, contemporary. Wash in an invigorating rain shower, dance in cooling hydration. 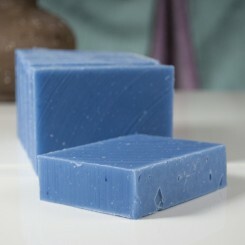 Wild Women’s smooth refreshing blue bar, Cool Rain is silky enjoyment with luscious olive and coconut oil. The experience is lathery, moisturizing goodness with a scent that appeals to Wild Women and Wild Men, showering separately… or together! Play in the Cool Rain.